MacDailyNews Take: So, a 4.8-inch edge-to-edge OLED fits almost perfectly into the iPhone SE’s physical case size. Who’d be up for an SE-sized X-class iPhone? Would $549 for the 64GB model, $599 for the 128GB model, and $699 for the 256GB model work? 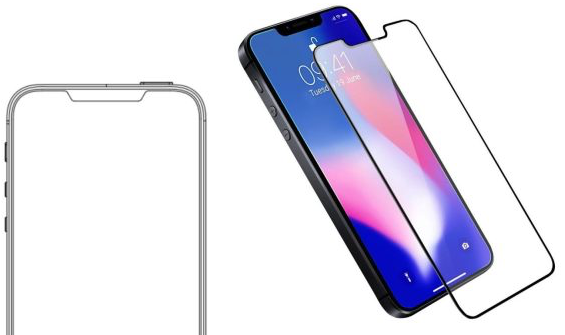 Remember, these would be modern X-class iPhones and older models like iPhone 8 would remain on the market for another year as Apple’s entry-level iPhones. So the smaller phone will be handicapped too with no wireless charging (like almost every modern phone on the market), and potentially no face ID. They should go back to plastic, imac colours, and it should have had the spec of the XR (which this could replace).It should have also been at a decent price. Next year the XR will firmly be in $500 territory so this is pointless. If you want a smaller phone from apple you have to compromise on spec which doesnt make sense – this is the company that started with the size range of phone which was always top spec. What happened. I am not especially looking forward to this XXS MAX NEO NANO if this is the true spec. Don’t really like your troll style. Sell everything , go back to windblows and andreads. Stop misusing my misusername, but yes I love my iPhone SE. I would have iPhone SE x with it if I could. $549 is the right price point, but I find it hard to believe that wireless charging won’t be inlcuded. iPhone 7 will he gone by then, and every other device would have Qi charging. Seems the one thing that’s wrong with this article. That’s “X” class. This app does not allow typos to be corrected. No you were right the first time. Running out of new ideas for iPhone improvements, Apple will more likely try colors again. And more emoji of course. What innovation! I doubt most people want to pay $1k or more for faceid and oled and ugly notches. Nobody asked for a super duper 3 lens camera capable of printing Andy Warhol soup can pictures with the press of a Siri. That’s what the cratering sales last year tells me. iPhone is no longer easy to use, it’s adding junk that adds no value to most users. And Apple has no small inexpensive simple alternatives. The iPhone 8 remains a vastly better bargain for the mainstream than any X model. For many, the 6S was the high point of iPhone value because it retained the minijack. Apple had better not get too far ahead of themselves pushing expensive models nobody really wants. Hey dude, you had better not get too far ahead of yourself pushing worthless opinions nobody really wants. Assuming that the specs for the iPhone XE are legitimate (and they seem reasonable), I believe that the base model iPhone XE should start at $499 (not $549) with the older iPhone models dropping to a $399 starting point as they are phased out. Some people are griping about the lack of wireless charging on the iPhone XE, but I really don’t think that most people care. After all, if you still have to place your phone on a charging pad that has a wired connection to a wall outlet, how much “wireless” convenience are you actually gaining? It takes very little extra time to plug in my phone when I sit down at my desk – perhaps two seconds. Besides, many people plug in their phones and use them while they are charging. Try that with a charging pad. Don’t miss this one. We don’t want an entry level X. We want a capable SE ‘à la’ X! Make it thicker if need be! my interest is an upgraded A* chip and camera. Don’t care about wireless charging, don’t want the X form factor. Give me the SE chassis with the XR internals and I’m buying! Well sounds decent enough to me as long as the real prices are competitive, its what I predicted was happening last week when new leaked phone sizes were discussed here that size is only a little larger than the SE but with a considerably larger screen. As for wireless charging I was reading only yesterday regarding the mat here how wireless charging as it stands is pretty much useless (not necessarily my view btw) so it brought a smile to me now to read everyone lamenting a potential lack of wireless charging as impossible to swallow. Completely different group of MDN contributors I presume or are people becoming negative for the sake of I. Wireless charging is certainly a minor consideration for me on an entry level phone that otherwise suits my needs. I love my 32GB SE. Don’t need “better” anything other than more storage and more screen space. A 64GB SE2 with borderless screen in the same body would suit me fine. And, keep the headphone jack. Keep the home button please, and upgrade everything else. Price has never been an issue – size is, so I can’t wait to ditch my XR for an SE2. Wireless charging takes volume and (even more so) adds weight. Also, the glass back is not only expensive to make, it is even more expensive to fix. I’d switch wireless charging to a polished stainless steel back, less weight & bigger battery on my XS (or any iPhone for that matter) any day. In fact, I’d pay extra for that.